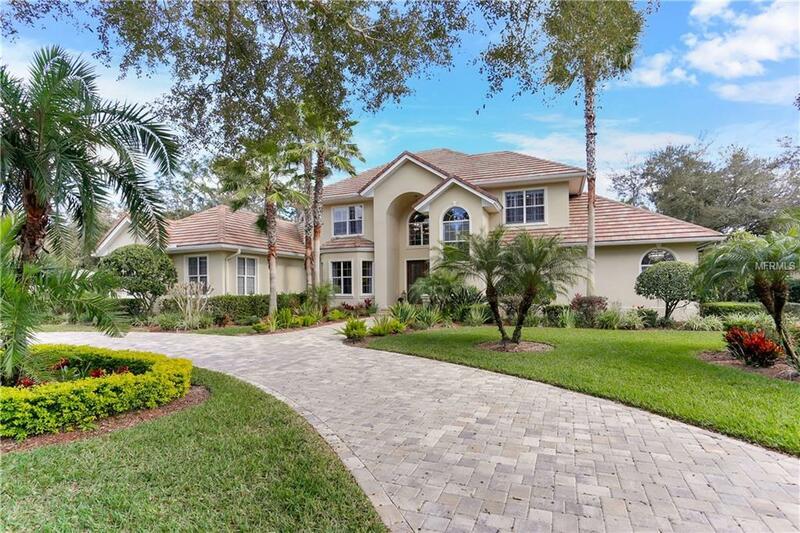 Words cannot describe this MODEL PERFECT / EXTENSIVELY RENOVATED home in THE RESERVE at Tampa Palms. 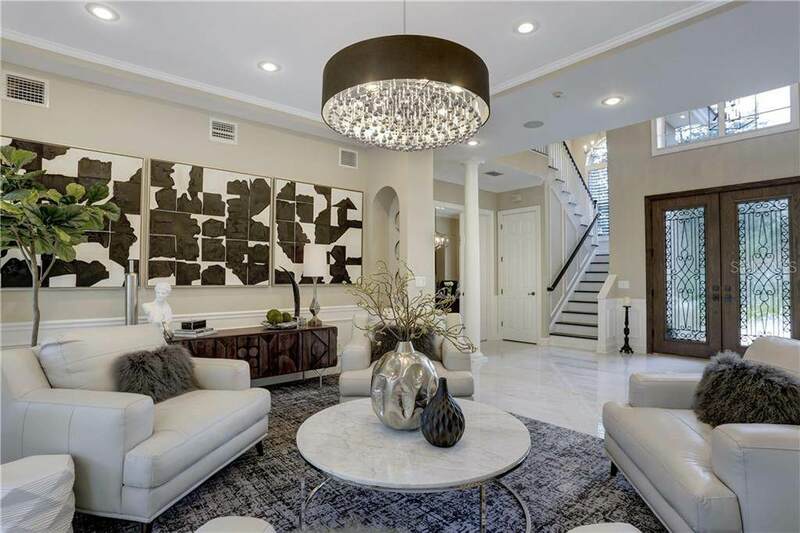 Representing the epitome of luxury and superior design, be swept away by the attention to detail from the vaulted ceilings to the designer lighting, refined finishes and luxurious living spaces. 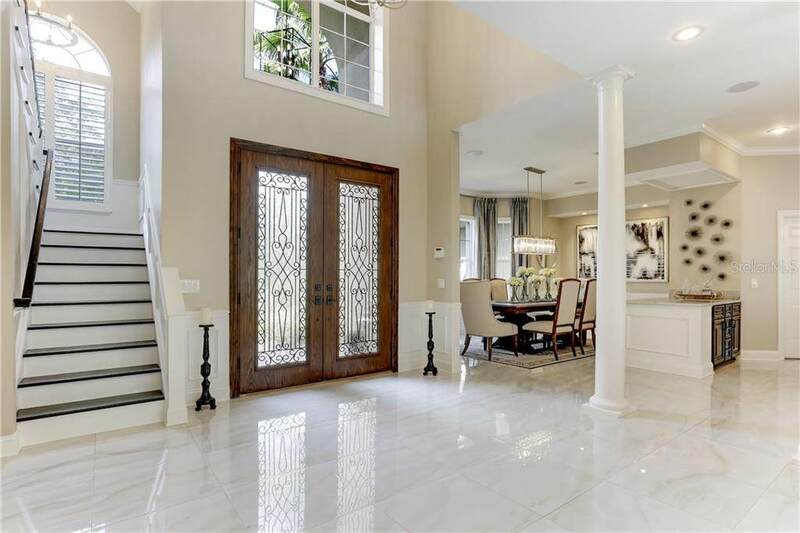 Enter through a formal entry with double-doors to the home's light filled spaces including a formal living room, dining room, den/office, game room, bonus room (opt 5th bedroom or suitable media room). A fully renovated Chefs kitchen with quartzite countertops and backsplash, stainless appliances (Sub-Zero & Wolf) and 6-burner gas range overlooking the family room with gas fireplace. 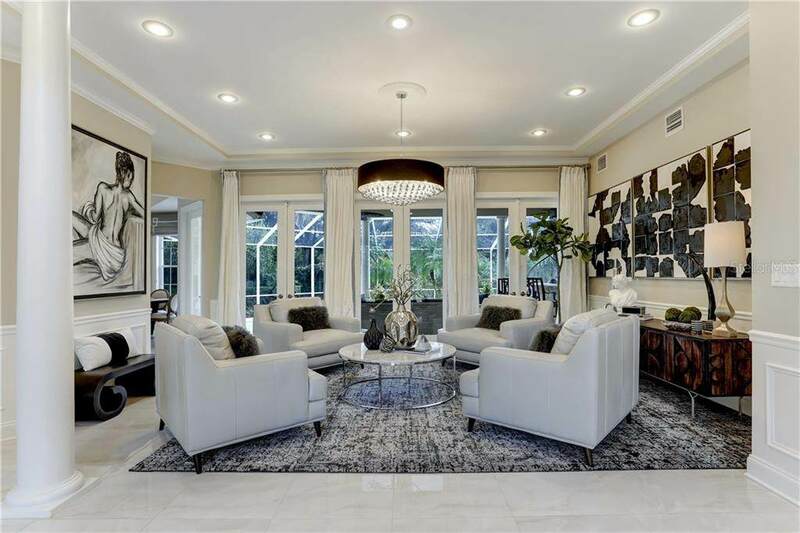 Escape to an opulent first floor master retreat with dual-sided fireplace, sitting area, sumptuous spa-inspired master bath with soaking tub and French door access to the pool. Enjoy relaxation and entertaining outdoors, through a wall of French doors, to an expansive covered new travertine lanai, screen-enclosed resurfaced pool, fire table and impressive new outdoor kitchen with top-of-the-line stainless grill, entertaining bar, warming drawers, ice maker and refrigeration. Additional appointments include all new baths including cabinetry flooring and fixtures, new lighting/chandeliers, LED low voltage fixtures, new AC and water heaters, extensive landscaping/outdoor lighting, expanded circular paver drive and 3-car garage in this heralded golf course community with 18-hole golf course, tennis, fitness center, dining and more.